I'm continuing on my personal Purge and it's been interesting seeing what colors I tend to gravitate to and what I THINK I like vs what really looks good on my nails. Granted, it all comes down to personal taste but I tend to surprise myself time and time again. Today I pulled out LVX Seychelle from the Spring/Summer 2017 collection. This was the first time that LVX went to two collections per year instead of four, and I know my wallet appreciated it. 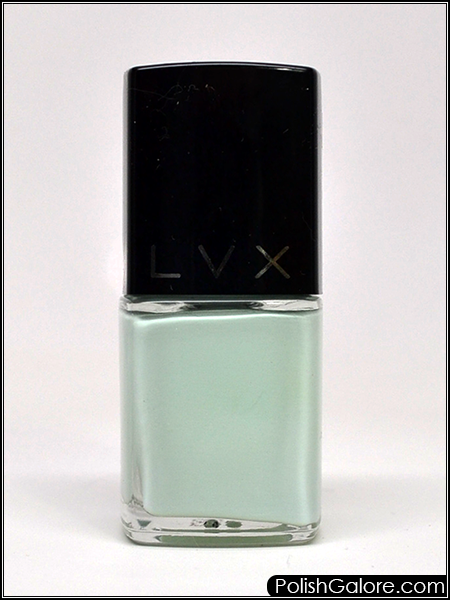 Plus, this falls more in line with Fashion Weeks which was the whole inspiration behind LVX in the first place. I used Glisten & Glow Ridge Filling base coat to start off. I forgot I owned this and lately I've been seeing a lot of ridges in my nails. Normally I'd do a light buffing on my natural nails but since they have been super thin ever since my acrylic disaster of December 2016, I'm trying to just let them heal. I am taking extra vitamins but they still aren't there yet. After I let that dry, I went with two thin coats of polish and topped it off with Glisten & Glow Top Coat. 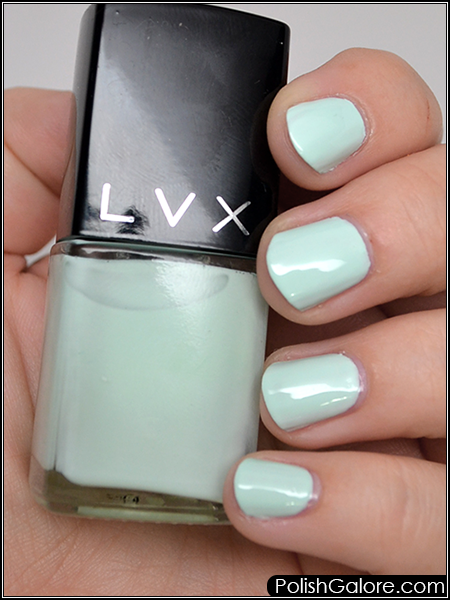 I also wanted to wear the Ridge Filling base coat because I find that mint green cremes tend to be streaky. While the first coat had minimal streaks and the second coat was self-leveling, I also think having a smooth palette to apply my polish on always helps. I think these colors are really flattering on me. They tend to make my hands look a little red on camera but I don't see it in person. I also think it's just a nice clean palette and great for pedicures.